After some time I finally come back to develop pantaliQa project thanks to Luca Franceschini who pushed me a lot retaking the code and trying to give it a form. Also I want to bring something to present during the last italian Hackmeeting. Going with other you may ask: what is pantaliQa? 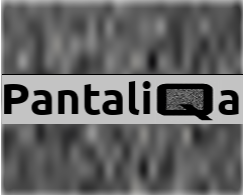 PantaliQa is the evolution of GemQ, that it was a vjing program developed in puredata language. PantaliQa is more mature, the code is cleaner and some how it rappresents all the things I have been learning in the last year in programming. 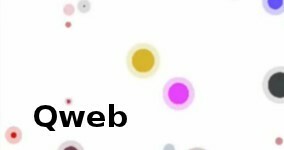 The aim of the project is to develop a live video editor tool for real time perfomance with a focus on educational environments. PantaliQa project is composed by three parts. One core library that is made all in puredata vanilla plus some other library packaged in the multimedia debian repository. 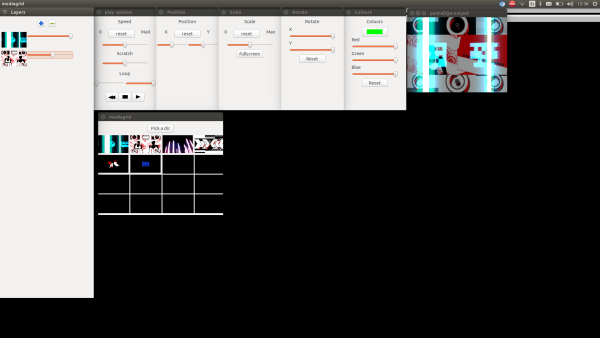 A PantaliQa-dataflow version, inspired from k12 mode of pd-l2ork, that engage with the dataflow programming paradigm for the creation of interactive video environments. 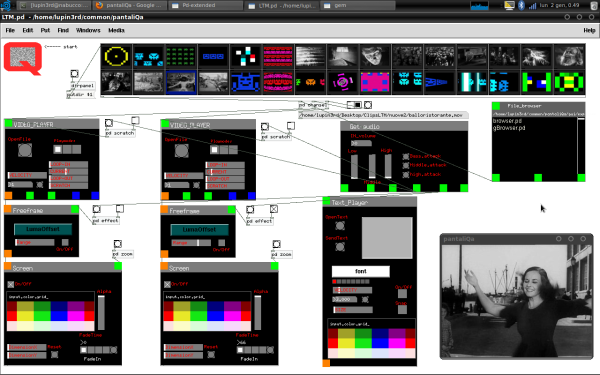 And the third, PantaliQa-wx that wants to be a “classical” vj program for linux platform using python-wx library for the gui part. PantaliQa-core is done, I have some minor bug to solve but everything is ready and already tested with some folks in Buenos Aires. The big push was infact a hackaton organized by Anibal Zorilla at “Centro Cultural Matienzo” in buenos aires, that was the perfect excuse for me to clean all the code and test it in a real environment with people. PantaliQa-dataflow is still an idea: I’m started to study the the code of pd-l2ork in order to modify the k12 mode and add my video library to the tk canvas. 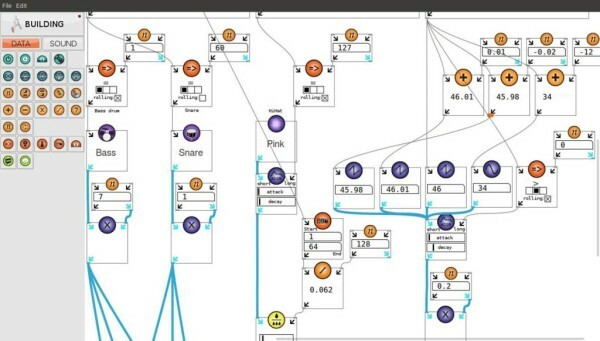 After talking with some people in Buenos Aires I decided to take Isadora as inspiration trying to replicate some of the objects and patch mechanism, adapting it to the puredata world. Even if the long term aim is to create an isadora style program for linux I don’t really feel like to compete with this great software. Like I said it is an inspiration and for the nature of this project, developed in my spare time, I don’t look for any commercial competition. PantaliQa-wx is right now a proof of concept. 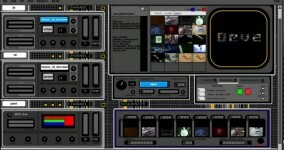 Is a wx-python gui communicating with puredata by using the pyata library from Jeraman. You can look to the code but it will change very soon. All the parts of the project are developed under linux, addressing primary ubuntu distros, and I will put no effort to make it works in other platforms. Even so all code, libraries and tools I’m using are multi-platform; so it will be easy for anyone with the right will and time to make it works on other systems. This project came from an older one called Qeve (later gemQ) and presented during III international Puredata conference in Sao Paulo: this the reason for “Q” letter, brand of the project kind of. Pantalica is the oldest necropolis in Europe, situated in Sicily, my island of origin. The first time I design this new project I was there and the name is a celebration of that moment.